Rail services on the East Coast Main Line are back under government control, following the failure of the franchise. Stagecoach and Virgin Trains, which had a 90% and 10% stake in the venture respectively, handed over control on Sunday after running it since 2015. The London to Edinburgh line connects London King’s Cross to stations in the north and Scotland. 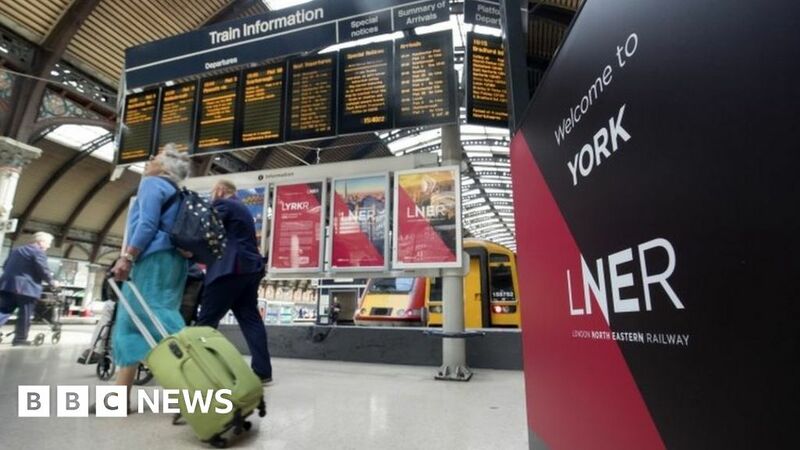 The route – which services stations including York, Leeds, Newcastle, Aberdeen and Inverness – will now be known as the London North Eastern Railway (LNER), a name last used in the 1940s. The first LNER train will be the 07:54 BST departure from Newcastle to London King’s Cross on Sunday. The companies promised to pay £3.3bn to run the franchise until 2023, but at the end of last year it had become clear they were running into trouble. It was then government-run until Stagecoach and Virgin’s £3.3bn bid in 2015. Last month, Transport Secretary Chris Grayling said the franchise had failed because Stagecoach and Virgin Trains had “got their bid wrong”, overestimating the profitability of the line. He told the House of Commons that Stagecoach and Virgin had lost almost £200m, but there had not been a loss to taxpayers “at this time”. Mr Grayling has also rejected accusations from Labour and trade unions that his decision to end the deal early was a “bailout” worth £2bn. “Stagecoach will be held to all of its contractual obligations in full,” he said. The rail companies blamed their problems on Network Rail, saying it had failed to upgrade the line which would have allowed them to run more frequent services. Virgin Trains East Coast (VTEC) managing director David Horne will be in the same role at LNER and all VTEC staff will transfer to the new franchise. The switch to the new brand is costing an estimated £8m in terms of marketing and rebranding. A report from VTEC said the route had experienced a 5% growth in passenger numbers in recent months, building on the 21.8 million journeys taken in 2017/18, up 1.3 million from when the franchise began. Stagecoach chief executive Martin Griffiths said the company’s staff could be “fiercely proud of everything they’ve achieved”. “The growth we’re now seeing proves our initiatives are paying off and the railway we hand over to LNER is not only better than we inherited, but one that has been positively transformed for customers,” he said.